The court denied in part plaintiff's motion to quash defendant's deposition and documents subpoena to plaintiff's litigation counsel. "[B]ecause of [plaintiff's counsel's] participation in the prosecution of the patents through his apparent roles in providing information to [plaintiff's patent counsel], drafting [an inventor's] declarations, his testimony regarding disclosures (or nondisclosures) of the inventors’ various interactions with [the inventor's potential customer] . . . is relevant to the defendants’ proof of the inequitable conduct defense. . . . In fact, the heightened standards of [Therasense, Inc. v. Becton, Dickinson and Co., 649 F.3d 1276 (Fed. Cir. 2011)] make inquiry into counsel’s and client’s patent prosecution decisions -- and the knowledge base underlying them -- a natural avenue of discovery. Indeed, that sort of inquiry will often be unavoidable when the accused infringer must supply clear and convincing evidence of specific intent to deceive or of a deliberate decision to withhold material information. . . . The court does not see why information disclosed (or not disclosed) to the PTO becomes irrelevant when it is supplied or edited by litigation counsel." In Re: Method of Processing Ethanol Byproducts and Related Subsystems ('858) Patent Litigation, 1-10-ml-02181 (INSD July 23, 2013, Order) (Lynch, M.J.). The court denied plaintiffs' renewed motion for a TRO because plaintiffs' delay in seeking relief undermined their claim of irreparable harm. "Plaintiffs claim that [their] delay was attributable to failed negotiations between the parties following issuance of the patent in suit, and then the inability to retain counsel due to financial circumstances. . . . [T]he delay undermines the Plaintiffs’ burden of showing irreparable harm to justify an immediate injunction, at least without the benefit of full briefing, an evidentiary hearing, and sound consideration. . . . And that is particularly true given the availability of monetary relief in the event that Plaintiffs’ claims are successful over a patent that apparently underwent pre-suit licensing negotiations." R.D. Jones, Stop Experts, Inc. et al v. Carmanah Technologies Corporation et al, 9-13-cv-80695 (FLSD July 25, 2013, Order) (Torres, M.J.). The court granted plaintiff's motion to amend its complaint to add a claim for post-filing willful infringement. "Several courts, interpreting that language, conclude that [In re Seagate Tech., LLC, 497 F.3d 1360 (Fed. Cir. 2007)] prohibits plaintiffs from alleging willful infringement based solely upon post-filing conduct unless they also seek preliminary injunctive relief to stop such conduct. . . . This Court agrees with (and will adopt) the logic of the [DataQuill Ltd. v. High Tech Computer Corp., 887 F. Supp. 2d 999 (S.D. Cal. 2011)] court. Plaintiff alleges willful infringement based upon post-filing conduct but avers that it no longer practices the patents-in-suit and does not compete with defendant. It is therefore likely that . . . plaintiff could not obtain injunctive relief from this Court because it could not demonstrate irreparable harm and requiring it to seek a preliminary injunction would be a waste of this Court’s time and resources. Accordingly, plaintiff’s motion to amend the complaint will be allowed in its entirety." Englishtown, Inc. v. Rosetta Stone, Inc., 1-12-cv-10636 (MAD July 25, 2013, Order) (Gorton, J.). In denying a third party's motion to seal, the court admonished the parties to consider the burden that motions to seal place upon the court. "[C]ourts must take all necessary steps to protect confidential information in their custody, even if the parties ultimately fall short of proving that confidentiality – and even if the tidiness of a given judge's chambers is ruffled a bit in the process. . . . Except where, as here, a third party . . . seeks to seal perhaps the most basic, public information one could imagine – published case citations in support of its motion to quash. . . . [R]ather than . . . upbraid the latest offending party, the court takes this opportunity to shed some light on the burden that sealing imposes. . . . A substantive motion . . . often generates three or four motions to seal – one for the motion and its exhibits, a second for the opposition and its exhibits, and a third for the reply and any remaining exhibits. . . . The net result is that for this one withdrawn motion to quash, the court will have reviewed four overlapping but distinct requests to seal. Even if the particular exhibit for which the parties have requested sealing bears no relevance on the outcome of the particular dispute – a good example is a meet-and-confer letter offered to illustrate just how big a jerk opposing counsel is – the court must review the details of the exhibit to determine whether the information in fact should remain confidential. . . . [V]aluable resources in this era of growing scarcity that could be spent on the merits of this or another case are consumed. And none of this, of course, speaks to the burden on any member of the public looking to understand what her tax dollars are being spent on. Sealing requests require serious consideration from the court. The court happily engages in that consideration, as is its duty. . . . But understand – please – that these requests come at a real cost. Especially when the request is to seal case citations." Apple Inc. v. Samsung Electronics Co., Ltd., et. al., 5-12-cv-00630 (CAND July 24, 2013, Order) (Grewal, M.J.). Following a bench trial, the court determined that plaintiff had engaged in inequitable conduct by deliberately withholding material prior art from its prosecution counsel and the PTO. "[T]he Court concludes, based on the content of [plaintiff's] testimony as well as his demeanor and the tone and manner in which it was presented, that [he] deliberately withheld [plaintiff's own prior art brochure, products, and sales materials] from [prosecution counsel]. . . . [T]hroughout his testimony, [plaintiff] sought to provide evasive answers to direct questions by referring to his unfamiliarity with, and lack of understanding of, patents and the prosecution process. . . . [A]t other times [he] demonstrated a substantial knowledge of patents and presented sophisticated arguments. . . . This inconsistency had a significant, adverse effect on [his] overall credibility. . . . [W]hen advantageous, [plaintiff] was savvy enough [to present an argument that] requires not only at least a professed knowledge about how examiners conduct searches, but also a comparison of [a patent in a subclass searched by the examiner] to [plaintiff's] own prior art, which is a bit of a surprising comparison to be made by [plaintiff], who professes to be unable to compare his own prior art to the claims of his own patent." Kim Laube & Company, Inc., et. al. v. Wahl Clipper Corporation, et. al., 2-09-cv-00914 (CACD July 18, 2013, Order) (Kronstadt, J.). The court denied defendant's motion to compel plaintiff to produce discovery regarding its pre-filing investigation and sanctioned defendant "50% of the reasonable expenses incurred in opposing the motion, including attorney’s fees." "The Court finds that the adequacy of the pre-filing investigation conducted by [plaintiff] is not at issue, there being no Rule 11 motion pending. . . . While [plaintiff] has shown no basis to apply the attorney-client privilege, the work product doctrine is a valid objection to a pre-suit investigation performed by agents of a party in anticipation of litigation. [Defendant] has not even attempted to show the substantial need and undue hardship necessary to overcome this protection." TQP Development LLC vs v. 1-800-Flowers.com Inc., et. al., 2-11-cv-00248 (TXED July 22, 2013, Order) (Payne, M.J.). The ALJ reversed his earlier position and sustained complainant's objection to the Commission's Notice of Investigation which required the ALJ to hold an early evidentiary hearing on the domestic industry requirement and issue an initial determination on that issue within 100 days of institution of the investigation. "The rules that the Commission imposed in this case, as provided for in the Notice of Institution of Investigation were not published in the Federal Register in advance of their imposition, nor did the Commission follow any of the provisions required by 5 USC 553(b)(1), (2) or (3). . . . The new rules, implemented (so far) solely for this case and announced after the filing of the complaint, implemented a number of substantive changes. . . . The changes, in their scope and timing, go beyond mere procedure, striking at the process that has been used at the Commission for more than 20 years. . . . The rules that the Commission seeks to waive are not rules adopted for the orderly transaction of business, but rules that provide for the substantive rights of the parties. They define the process that is due in adjudication. . . . [Complainant] filed the complaint, had it accepted for adjudication by the lTC, and only then did it learn that it would be subject to a new, and different set of rules for adjudication. This is not permitted under the APA, as rule making is prospective only, never retroactive: 5 USC § 553(c)." Products Having Laminated Packaging, Laminated Packaging, and Components Thereof, 337-TA-874 (ITC July 12, 2013, Order) (Essex, ALJ). • What should be limited—number of claims, number of prior art references, number of invalidity theories, number of terms for claim construction, number of accused products, or some combination? • When should the limits on asserted claims and prior art references take effect? • Should the limits on number of claims apply per case or per patent? • What effect does the judgment have on non-elected patent claims and prior art references? The committee that created the Model Order was chaired by Ed Reines (Weil) and includes Chief Judge Randall Rader (Fed. Cir. ), Chief Judge Leonard Davis (E.D. Tex. ), Judge Lucy Koh (N.D. Cal. ), Judge Katherine Forrest (S.D.N.Y. ), Judge Theodore Essex (ITC)), Tina Chappell (Intel), Morgan Chu (Irell), Sean Cunningham (DLA Piper), Isabella Fu (Microsoft), Mike McKool (McKool Smith), and John Whealan (GW Law). To read this order on Docket Navigator click here. In granting defendant's motion for summary judgment on a patent exhaustion defense, the court rejected defendant's argument that plaintiff bore the burden of proving a lack of exhaustion with respect indirect infringement claims. "[Defendant] argues that a different standard applies for a claim of indirect infringement, rather than direct infringement. According to [defendant], when an authorized purchaser uses the patented item, no act of direct infringement occurs because patent exhaustion has placed that item beyond the reach of the patent. A claim of patent infringement requires a direct infringer, and [plaintiff] has the burden of establishing an underlying act of direct infringement. Therefore, [defendant] argues that [plaintiff] has the burden of proof to show that an unlicensed direct infringer exists. . . . [Defendant's] point is well-taken and consistent with the law of indirect infringement, which requires more than just the possibility of the existence of a direct infringer. However, in suits alleging both direct and indirect infringement of the same patent, this view would lead to the anomalous result of requiring both the defendant to prove a defense and the plaintiff to overcome the defense regardless of whether it is proven. The Court therefore finds that the burden of proof for the affirmative defense of patent exhaustion lies with the party asserting the defense, regardless of whether the claim asserts direct or indirect infringement." JVC Kenwood Corporation v. ArcSoft, Inc., et. al., 2-12-cv-03662 (CACD July 17, 2013, Order) (Pfaelzer, J.). The court granted defendant's motion to dismiss plaintiff's willful infringement claims for failure to state a claim because plaintiff did not seek a preliminary injunction. "[In re Seagate Tech., LLC, 497 F.3d 1360 (Fed. Cir. 2007)] makes clear that an allegation of willfulness based on the accused infringer's post-suit knowledge of the patent can only be sustained if the plaintiff seeks a preliminary injunction. . . . We are not here presented with a question of whether the claim contains sufficient factual detail. Instead, the question is whether the claim can exist under the circumstances present, where the alleged knowledge of the patent resulted only from the filing of the original complaint in the action and the plaintiff has not sought a preliminary injunction. . . . It would eviscerate Seagate if a plaintiff could file an amended complaint alleging willfulness immediately after the original complaint was served. In sum, Seagate makes clear that where notice of the patent comes via the lawsuit, a plaintiff who wants to pursue a charge of willfulness needs to file a motion for a preliminary injunction, not an amended complaint." McRo, Inc. v. Namco Banda Games America, Inc., 2-12-cv-10322 (CACD July 11, 2013, Order) (Wu, J.). The Commission rejected respondent's argument that complainant was not entitled to a cease and desist order for its infringed patent for encoding signals in a cellular telephone network because of complainant's FRAND commitments. "[Respondent] fails to cite any precedent for its proposition that the Commission cannot address infringement of standard-essential patents other than in the exceptional scenarios such as where a potential licensee has refused to pay a royalty after a U.S. court has determined that royalty to be FRAND, or where no U.S. court has jurisdiction over the potential licensee in order to set a FRAND rate. [Respondent's] regime would have the Commission be a forum of last resort, when all other remedies have failed. But such an approach is directly contrary to the Commission's enabling statute. . . ."
Electronic Devices, Including Wireless Communication Devices, Portable Music and Data Processing Devices, and Tablet Computers, 337-TA-794 (ITC July 5, 2013, Order) (Trade Commission, J.). The court granted defendant's motion to disqualify plaintiff's lead counsel because counsel provided defendant opinion letters for six years and failed to terminate the relationship. "[Plaintiff's counsel] declares that he asked during [the last teleconference with defendant] whether [defendant] needed any further work on this matter and he was told they did not. [Defendant's] declarants do not recall this exchange. . . . [A]n existing attorney-client relationship can definitely continue by implication. [Plaintiff's counsel] was unable to articulate at the hearing any basis to suggest that [defendant] would not have expected to continue to use [its] legal services to evaluate the further developments in the Manufacturers matter. . . . [Defendant] had a reasonable expectation that [counsel] would continue to act as its lawyer in the Manufacturers matter and that [counsel] failed to give [defendant] reasonable notice to the contrary before undertaking the adverse representation of [plaintiff] in this matter." TQP Development, LLC v. Adobe Systems Incorporated, 2-12-cv-00570 (TXED July 13, 2013, Order) (Payne, M.J.). Microsoft Corporation v. US Department of Homeland Security et al, 1-13-cv-01063 (DCD July 12, 2013, Order) (). The court granted plaintiff's motion for summary judgment that its suture patents were not obtained through inequitable conduct. "As in other cases, the parties here dispute how [Therasense, Inc. v. Becton Dickinson and Co., 649 F.3d 1276 (Fed. Cir. 2011)] should be applied to summary judgment motions of inequitable conduct. Plaintiff argues summary judgment is appropriate unless the evidence requires a finding of deceptive intent, while Defendant asserts summary judgment is inappropriate if the evidence would allow the jury to draw two reasonable inferences, one of which being an inference of deceptive intent. This Court agrees with Plaintiff’s interpretation of Therasense: That summary judgment is appropriate unless the evidence requires a finding of deceptive intent." KFX Medical Corporation v. Arthrex Incorporated, 3-11-cv-01698 (CASD July 10, 2013, Order) (Sabraw, J.). BSP Software LLC v. Motio, Inc., 1-12-cv-02100 (ILND July 9, 2013, Order) (Schenkier, J.). The court granted in part plaintiff's motion to send a survey to defendant’s customers concerning potential indirect infringement. However, rather than compel defendant to produce customer names and email addresses, the court ordered defendant to send an optional survey to their customers. 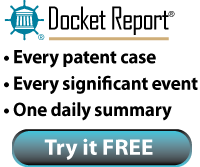 "Defendants’ customers have information that is relevant, as well as likely to lead to the discovery of admissible evidence with respect to Plaintiff’s direct and indirect infringement claims because a portion of Defendants’ customers may be direct infringers of [the patent-in-suit]. . . . Defendants have stated they do not keep track of which fitness devices users purchase or which fitness devices customers use to download workouts with cadence data. Consequently, Plaintiff’s only available source for relevant information on how the accused products were used . . . is the customer herself. . . . [T]he Court will allow Defendants to disseminate Plaintiff’s survey via Defendants’ email distribution system. This approach protects the privacy of Defendants’ customer information and reduces the potential for ill will at receiving unwanted email while allowing Plaintiff access to the discovery it needs." Pacing Technologies, LLC v. Garmin International, Inc., et. al., 3-12-cv-01067 (CASD June 28, 2013, Order) (McCurine, M.J.). The court denied plaintiffs' motion to dismiss defendant's inequitable conduct claim for failure to plead with particularity. "Plaintiffs . . . argue that [defendant's counterclaim] is insufficiently pleaded because [plaintiff] observed the [two cited devices] four years after [plaintiffs'] application was filed and, therefore, Defendant failed to allege prior art. However, information material to the Patent Office 'is not limited to prior art, but 'embraces any information that a reasonable examiner would be substantially likely to consider important in deciding whether to allow an application to issue as a patent.’ Defendant alleged [plaintiff] had a duty to disclose the information he obtained regarding the [two devices] and that [the patent-in-suit] would not have been issued had Defendant disclosed that information. These allegations are sufficient to allege that Defendant did not disclose material information, regardless of whether that information involved prior art." Smith, et. al. v. Garlock Equipment Company, 5-13-cv-00104 (MOWD July 1, 2013, Order) (Fenner, J.). The court denied plaintiff's emergency motion to disqualify defense counsel. Although counsel previously represented plaintiff's parent company, counsel's relationship with the parent did not transfer to plaintiff. "[I]t is undisputed that [plaintiff's parent] is [defense counsel's former] client, not a current one, and the Court is not convinced the [Honeywell Int'l, Inc. v. Philips Lumileds Lighting Co. (E.D.Tex. 2009)] factors apply. Regardless, courts have held that 'representation adverse to a former client’s affiliate is proper unless there is a high degree of operational commonality and financial dependence between the affiliated entities.' Other than [plaintiff's owner's] common involvement, [plaintiff] has not presented evidence of [its] operational commonality with or financial dependence on [its parent]." Evolutionary Intelligence, LLC v. Facebook, Inc., 6-12-cv-00784 (TXED July 3, 2013, Order) (Craven, M.J.). The court granted defendants' motion for summary judgment of noninfringement as to plaintiff's flexible interface patents because plaintiff's infringement contentions did not contain the required specificity. "Through its experienced patent lawyers, [plaintiff] blatantly disregarded the Sixth [Practice and Procedure Order]. The Court took [plaintiff] to task for obfuscating its infringement theories, finding that [it] had done so intentionally as part of its strategy to extend this litigation excessively, since [plaintiff's] business is litigation. . . . [Plaintiff's] failure to properly detail its infringement claims was not an innocent error; it was part of a calculated strategy. For this astounding and brash failure to follow court orders, the Court imposed a reasonable sanction against [plaintiff] -- requiring [it] 'to live with its Final [Infringement] Contentions as they stand without further modification.'. . . Having made only bald allegations against the Table 15 devices, [plaintiff] cannot demonstrate the existence of a genuine issue of material fact with regard to infringement, nor can [it] present specific facts that would enable a reasonable jury to find in its favor." In re: Papst Licensing Digital Camera Patent Litigation - MDL 1880, 1-07-mc-00493 (DCD July 1, 2013, Order) (Collyer, J.). The court denied plaintiff's motion for an ongoing royalty following a jury trial. "[T]he foreman wrote '15,000,000.00 –> $15 MILLION' and underneath the blank line added 'LUMP SUM.' The Court finds that this is an express statement in the verdict that this is award is for a lump sum license. Throughout trial, 'lump sum' was consistently explained by both parties as providing a one-time, single payment for a license for the life of the patent. . . . [T]he fact that the jury specifically wrote that language underneath the $15 million amount emphasizes that the jury wanted to ensure their damages amount was clear." Summit 6 LLC v. Research in Motion Corporation, et. al., 3-11-cv-00367 (TXND June 26, 2013, Order) (O'Connor, J.). The court granted plaintiff's motion for a permanent injunction, but stayed the injunction pending the conclusion of pending reexaminations. "[T]he balance of hardships weighs against a permanent injunction. . . . [I]f a permanent injunction issues, [defendant] will immediately lose its $266 million investment — and 159 of its employees will lose their jobs. . . . The decision here is extremely close. . . . [Plaintiff] will be entitled to a permanent injunction if the reexamination proceedings and any subsequent appeals are eventually resolved in [plaintiff's] favor. At present, however, the unresolved PTO reexaminations tip the balance against immediately enjoining [defendant]. I therefore allow [plaintiff's] motion for a permanent injunction, but stay that injunction until the reexaminations and any subsequent appeals therefrom are concluded." Smith & Nephew, Inc. v. Interlace Medical, Inc., 1-10-cv-10951 (MAD June 27, 2013, Order) (Zobel, J. ).